Google Chrome 57 has now been released to the stable channel, and will be available for Windows, Mac and Linux desktop users in the coming days and weeks. As usual, there were dozens of bug fixes from the final beta version, but the really exciting part about Chrome 57 is how Progressive Web Apps (PWAs) integrate deeply with Android. 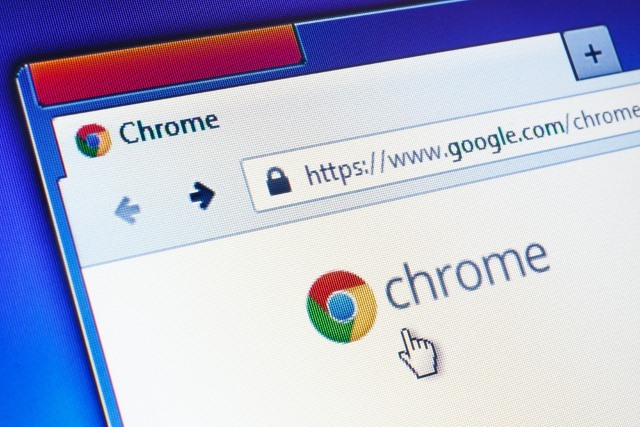 In fact, most of the changes brought to Chrome 57 – over the current Google Chrome 56 – are intended for Android as well as Chrome OS on Chromebooks. But it’s the Android elements that are very interesting, and I’m bringing a couple of them into the picture here. The first of these is the ability for admins to install Android apps in Kiosk Mode. In simple terms, apps from Play Store can now be pushed to Chrome in order to lock down devices that are used for retail displays and other types of interactive environments. This containerized method works particularly well where you don’t want the user to have access to certain Android features that can be used to leave the app, such as the back, home, recent apps, power and volume buttons. It can also be used to restrict app access. The second change – and we saw this early on in Chrome 57 beta versions – is around Progressive Web Apps. PWAs are, in Google’s words, “user experiences that have the reach of the web.” In short, they’re web apps that can be installed on the Home Screen without having to go through Play Store or other app store. And I’d like to go a little bit deeper into this one. PWAs progressively behave like installed native apps on your device. They’re much faster than mobile web apps, load instantly regardless of the network state, and they feel like a native app, becoming more so over time – hence the name. Related: What are Progressive Web Apps and Are they Better than Native Mobile Apps? PWAs on Chrome 57, when added to the Home Screen, can be made to appear in app drawers as well as system settings, just like native apps. Moreover, they can access Android notification settings rather than having to depend on those of the Chrome browser itself. That’s a major shift for Google, because PWAs are being touted as the next generation of mobile apps that are independent of the browser, independent of screen size and, more importantly, independent of any app store, be that Google’s, Apple’s or anyone else’s. They can be served to users via the device’s browser, potentially making app stores obsolete. But don’t get excited yet. PWAs have massive disruption potential, and their elements are designed to work together seamlessly to bring the native app experience to the mobile web. But there are drawbacks as well, as we’ll see. While progressive web apps may appear to threaten the mobile app ecosystem and prove counterproductive to Google’s revenues from Play Store, the advantages of PWAs to Google Chrome users on Android devices clearly outweigh any losses that Google may incur on the Play Store front. Google Chrome 57 is rolling out for desktop devices right now, but these changes will be made glaringly obvious when the updates are soon rolled out for Chrome on Android as well as Chrome OS. PWAs are becoming an increasingly viable alternative to native mobile apps, but their presence and availability is a drop in the ocean, in comparison. They’re potentially powerful because of the flexibility of Chrome 57 on multiple display sizes via the new CSS Grid Layout, but many of them don’t have nearly as robust functionality as traditional Android apps. They’re an attempt to bring two of the most powerful platforms in the world – one, a widely used browser and the other – closer to each other; but, their utility and flexibility need to be experienced before they can be widely accepted and adopted. All of these represent major challenges for progressive web apps to overcome. But the fact that Google Chrome 57 is bringing that experience into ‘browser-hood’ is all the evidence we need that Google is taking steps in the direction. GitHub has a list of progressive web apps that you can try out on your mobile device to get an idea of what they’re like, but we recommend you wait for Chrome 57 to drop to Android.